America's 123,000 libraries fall into four basic types (with a few added variations): Public, School, Academic and Special. There are also Armed Forces libraries, Government libraries and multi-use or Joint-Use libraries, which combine library types in one service area or structure. Public libraries serve communities of all sizes and types. Wherever you live, there's likely to be a local public library nearby. As the name implies, public libraries serve the general public, "from cradle to grave," as more than one public librarian has been heard to say, referring to the library's departments that focus on areas of service, such as children, teens and adults. At the core of public library service is the belief in free access to information-that no one should be denied information because he or she cannot afford the cost of a book, a periodical, a Web site or access to information in any of its various formats. Libraries are great democratic institutions that serve people of every age, income level, location, ethnicity or physical ability, and provide the full range of information resources needed to live, learn, govern, and work. Because libraries bring free access to all, they also bring opportunity to all. Today there are more than 16,000 public libraries in the United States. They are usually funded by public funds, administered at the state, county and local levels. Cities often provide their own public libraries. In some states, county libraries serve the populations of unincorporated areas of the county, not covered by city library service. In some instances, when a city is not able to provide library service, it may contract with the county to serve its residents. State libraries often serve as repositories for public information but also serve their state legislatures as a research arm of state government. In the 50 states, there probably aren't 50 unique ways of administering library service, but there certainly are many different organizing principles at work. Fundamental to public library service is the right of every citizen in that jurisdiction to the information in the public library. This information may come in almost any format, as printed material, available to be borrowed by the library user, or as the library user's access to an Internet terminal, a type of audio or video format, a periodical, a pamphlet or even attendance at an informational program. Generally, residence in a municipality is all that is needed to obtain a library card. That card opens the door to an impressive array of materials, services, and programs to that area's resident. In some states universal borrowing allows residents of the state to access and borrow materials anywhere within the state. In other states, access and borrowing is regional and elsewhere, access and borrowing is local. Even when materials are not immediately available, however, most libraries will make an effort to obtain material through inter-library loan, borrowing it on behalf of local users. With inter-library loan as an option, most public libraries can offer almost unlimited resources. You can learn more about public libraries, by visiting the Web site of the Public Library Association, a division of the American Library Association, at www.ala.org/pla. Historically regarded as the cornerstone of the school community, school libraries are no longer limited to books and reference materials. Instead, they have become sophisticated 21st century learning environments offering a full range of print and electronic resources that provide equal learning opportunities for all students, regardless of the socio-economic or education levels of the community. In addition to serving the school’s students, the library also serves parents, teachers, staff, and other members of the learning community. While state requirements vary, professionally staffed libraries are led by teaching librarians who have a degree in education with specialized training in librarianship, curriculum, and technology. Professional school librarians are trained to collaborate with teachers and other educators to support the mission and educational goals of the school. These powerful partnerships work toward the ultimate goal of empowering students to be critical thinkers, enthusiastic readers, skillful researchers, and ethical users of information; skills that matter to them both in the classroom and in the real world. Since 1965, more than 60 studies have affirmed the link between school librarians and student achievement. Across the United States, research has shown that students in schools with good school libraries learn more, get better grades, and score higher on standardized test scores than their peers in schools without libraries. School libraries are places of learning and exploration where teachers and professional school librarians help students develop essential information, reading, technological, visual, textual, and digital literacies that are crucial to student success in the 21st century. Learners become skilled, ethical users and creators of ideas and information in many formats. They develop expertise in drawing conclusions and making informed decisions, and learn to participate effectively within the global community. Learn more about school libraries by visiting the web site of the American Association of School Librarians, a division of the American Library Association, at www.ala.org/aasl. 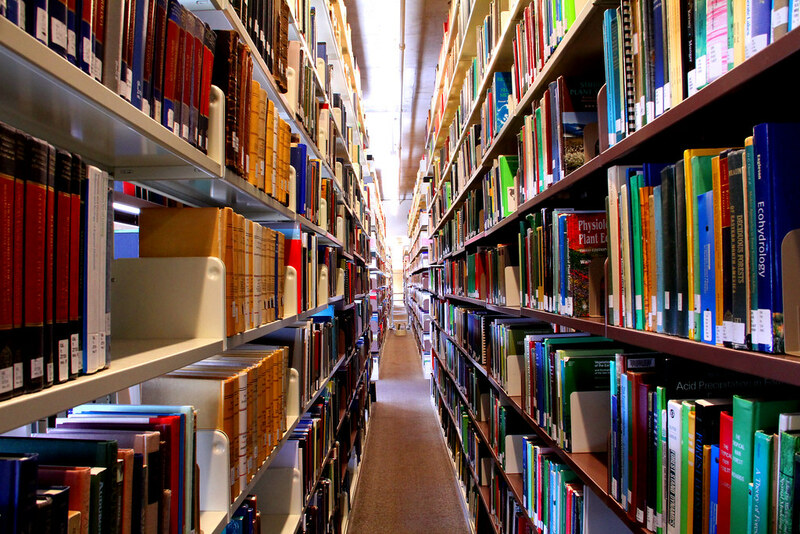 An academic library is associated with a degree-granting institution of higher education. The modern academic library provides access not only to print materials, but also to a wide range of media, electronic resources, and a variety of learning spaces. The key mission of academic libraries is to support the research and teaching missions of their institutions through the delivery of excellent services and the broadest array of resources to students, faculty, and staff, regardless of their location. A master’s degree in library science is necessary for librarian positions in most academic libraries. Some librarians supplement their education with knowledge in a specialized field, often earning advanced degrees in the discipline. Many academic librarians hold faculty status. Learn more about academic libraries and librarians by visiting the web site of the Association of College and Research Libraries, a division of the American Library Association, at www.ala.org/acrl. Special libraries offer services within a specialized environment, such as corporations, hospitals, the military, museums, private businesses, and the government. Special libraries can serve particular populations, such as the blind and physically handicapped, while others are dedicated to special collections, such as the Library of Congress or a presidential library. Staff in a special library must be aware of materials, developments, issues and research in that library's area of focus. In a pharmaceutical company, for example, the library will need to offer materials to support the research that is done so that scientists have a comprehensive view of what has already been established in their area of interest. New products should not replicate existing products and findings of studies on side-effects and toxicity would be vital for further research. In every case, the library service is tailored to a very specific area and supports that special interest. Special libraries are funded by their parent institutions. Some special libraries make material available through inter-library loan, and some allow usage and borrowing. In most cases, special library materials are available only to specific users, and borrowing and usage are governed strictly by individual policies. Learn more about special libraries at the Special Library Association web site, www.sla.org. In many communities seeking to provide library resources for more than one segment of the population, it has become prudent to explore combining resources and services into a joint-use facility. Many joint-use libraries exist today, and there is a great deal of information about them-case studies, articles that discuss the considerations of combining services, implementation, perceptions, evaluations, advice, etc. Some have been successful while others have been challenging. As a result, communities considering this option are well advised to read and benefit from this large amount of relevant information. The two most common types of joint-use facilities combine public libraries with school library media centers and public libraries with academic libraries. The mission of the Library of Congress is to make its resources available and useful to the Congress and the American people and to sustain and preserve a universal collection of knowledge and creativity for future generations. The Office of the Librarian of Congress is tasked to set policy and to direct and support programs and activities to accomplish the Library's mission. The Library was founded in 1800, making it the oldest federal cultural institution in the nation. On Aug. 24, 1814, the Library's core collection of 3,000 volumes was destroyed when the British burned the Capitol, where the Library was housed. On Jan. 30, 1815, Congress approved the purchase of Thomas Jefferson's personal library of 6,487 books for $23,950. On Christmas Eve 1851, another fire destroyed two-thirds of the collection. Many of the volumes have since been replaced, but nearly 900 are missing. As part of the Library's Bicentennial celebration in 2000, Jefferson's library, which was the foundation of the Library of Congress, was reconstructed and placed on view for the public. The Library of Congress is the largest library in the world, with more than 130 million items on approximately 530 miles of bookshelves. The collections include more than 29 million books and other printed materials, 2.7 million recordings, 12 million photographs, 4.8 million maps, 5 million music items and 58 million manuscripts. The Library receives some 22,000 items each working day and adds approximately 10,000 items to the collections daily. The majority of the collections are received through the copyright registration process, since the Library is home to the U.S. Copyright Office. Materials are also acquired through gift, purchase, other government agencies (federal, state and local), Cataloging in Publication (a pre-publication arrangement with publishers) and exchange with libraries in the United States and abroad. Items not selected for the collections or other internal purposes are used in the Library's national and international exchange programs. Through these exchanges the Library acquires material that would not be available otherwise. The remaining items are made available to other federal agencies and are then available for donation to educational institutions, public bodies and nonprofit tax-exempt organizations in the United States. The Library's Web site http://www.loc.gov offers catalog access to the collections of the Library of Congress and information about its many programs. The American Library Association (ALA) was founded in 1876 in Philadelphia and subsequently chartered in the Commonwealth of Massachusetts. Its mission is "to provide leadership for the development, promotion, and improvement of library and information services and the profession of librarianship in order to enhance learning and ensure access to information for all." Its membership is open to "any person, library, or other organization interested in library service and librarianship—upon payment of the dues provided for in the Bylaws." ALA is governed by an elected Council, its policy-making body, and an Executive Board, which "acts for the Council in the administration of established policies and programs." ALA members elect the ALA president and treasurer. Headquartered in Chicago, its operations are directed by an executive director and implemented by staff through a structure of programmatic offices and support units. ALA is home to 11 membership divisions, each focused on a type of library or a type of library function. It also includes round tables, which are groups of members "interested in the same field of librarianship not within the scope of any division." A network of affiliates, chapters and other organizations enables ALA to reach a broad audience. ALA is not a library, although it has a library. The ALA Library and its librarians are available to help with questions relevant to the Association and its mission. The Association focuses on the governance and policies of the Association, on the committees and discussion groups and other opportunities for active member participation, and on the services and products available to members. Questions from the general public can usually be answered by the local public library's reference staff unless they are questions that are specific to ALA.
To learn more about the American Library Association, visit http://www.ala.org.